Looking for pork chop recipes and want to learn how to cook pork safely? Pork is delicious but it can be overwhelming to choose the right cut and learn how to cook it. You are in the right spot! Check out this pork chop recipe guide and get some amazing recipes for your menu this week! Looking to shake up your dinner routine? Try pork! It took me awhile, but the other white meat has become one of my favorite proteins. It’s an easy transition from chicken, which we eat a lot, and the kids surprisingly will always each a pork chop or tenderloin. But, cooking pork was seemingly a whole new ballgame when I started incorporating it into our meals more frequently. The delicate balance between cooked and overcooked is a bit trickier, although I’d take a dry pork chop over a dry chicken breast any day! To help you learn from my pork adventures, below are my tips and tricks to make sure all your cuts of pork hit the table perfectly ready to go. 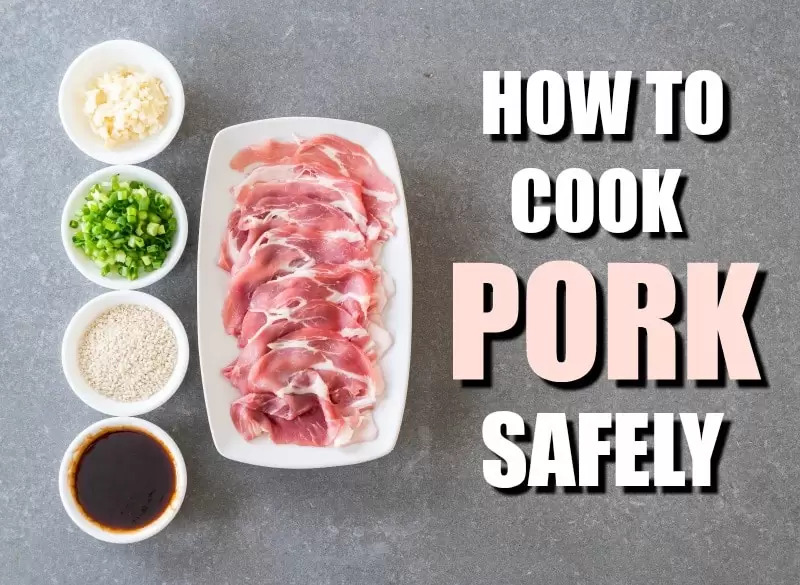 Because pork is naturally pink both before and even after cooking, trying to tell whether your creation is done is a bit different from chicken. Officially, according to the USDA, pork is done at 145◦ degrees. This is a drop from the previous recommendation of 160, which in my opinion, made the pork drier than a desert! With that lower temperature, however, they recommend a 3-minute rest time before serving. A digital probe thermometer is my favorite meat temperature-taking device, but the standard meat thermometer gets the job done as well. If your thermometer isn’t handy, the poke test is probably the best way to check all kinds of pork cuts for doneness. Food Hacks has a wonderful guide to figure out whether lots of different kinds of meat are done, but the finger/palm test is the most common. You want to cook your pork to either medium or medium-well temperatures. At these temperatures, the meat has the same firmness as the fleshy part of your thumb, just below the joint, when you’re pressing your ring finger against your thumb. Once you know what you’re shooting for, you can cook any cut of pork you find in the grocery store. 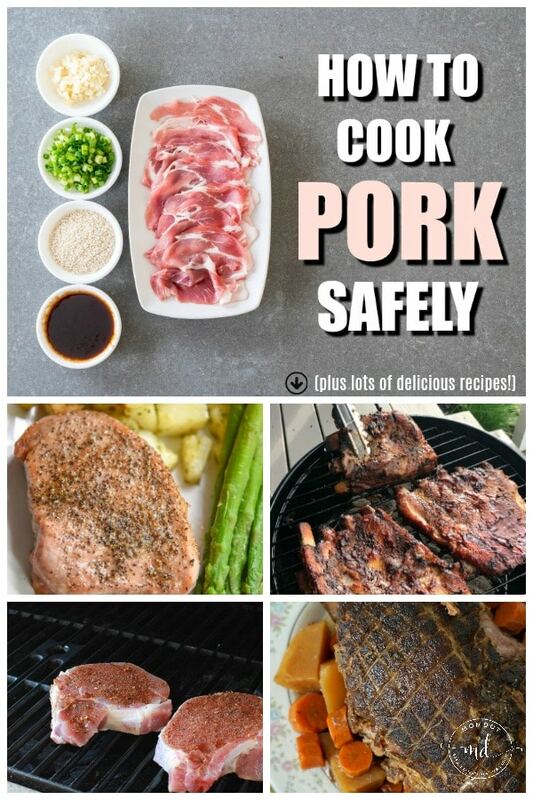 I’ve organized the tips below by cut, as there are so many different kinds of options for pork. In each, you’ll get a better idea of not only how to successfully execute your dish, but how to do it right the first time! Chops are fantastic and so versatile! They have become a second in my house to chicken breasts. The best part is, I can choose bone-in chops for the added flavor without adding a ton of cook time. 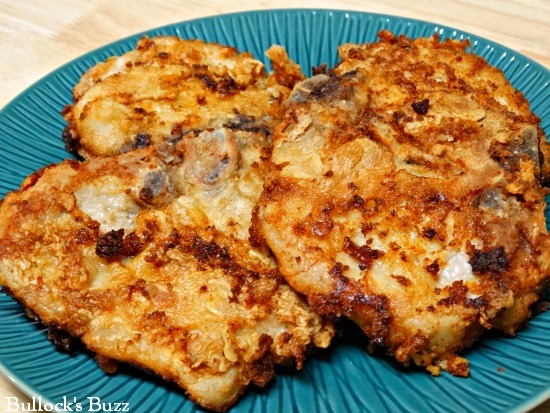 Boneless chops are my go-to for all kinds of chicken substitutes – even casseroles! Baking chops is a lot like chicken breasts, add the flavors you like, pop in the pan with a bit of oil, salt, and pepper and away you go! Like chicken, a lower temperature (300◦ – 350◦) will make it a lot less likely you overcook the pork, but it takes longer. If you’re cooking at higher heat (400◦ and above), you’ll want to be sure to check on them early and often. I prefer to bake in a glass dish as it’s easier to clean than sheet pans, etc. Plus, all the juices are easier to capture to help keep the meat moist. If you’re cooking bone-in chops, you’ll need to add a few minutes to the cooking time than if you have a boneless cut. At 350◦, your chops will take about 20 – 35 minutes to cook, depending on the thickness, how close they are in the pan, and whether you’ve added flavoring like mustard and mayo, etc. Use the tests for doneness above to be sure they’re ready and dinner will be devoured! Pork chops are also a great contender for frying. Their thin cuts fry up quickly and with lots of breading crunch. I think they are easier to fry than chicken as they’re a uniform size and shape so I don’t have to guess on the cooking time. Just like chicken, set up a dredging station – seasoned flour, egg, and breadcrumbs – for the ultimate crunchy crust. Sometimes I add something extra to the salt and pepper in the flour like paprika or chili powder for some heat. Bring the oil in your pot or deep fryer up to 350◦ and slide the breaded pieces in. You’ll have to check the first few for doneness but 8 – 10 minutes is a good estimate to start with. As you pull them out of the oil, set them aside on a sheet pan with a wire rack on top and sprinkle them generously with salt. Pork chops are super easy on the grill – they are one of my summertime favorites. The even size and flat shape help them get them done in a flash! Regardless of how I marinate or top the chops, they’re usually ready in about 7 – 8 minutes – 4 minutes on the first side and about 3 on the back. 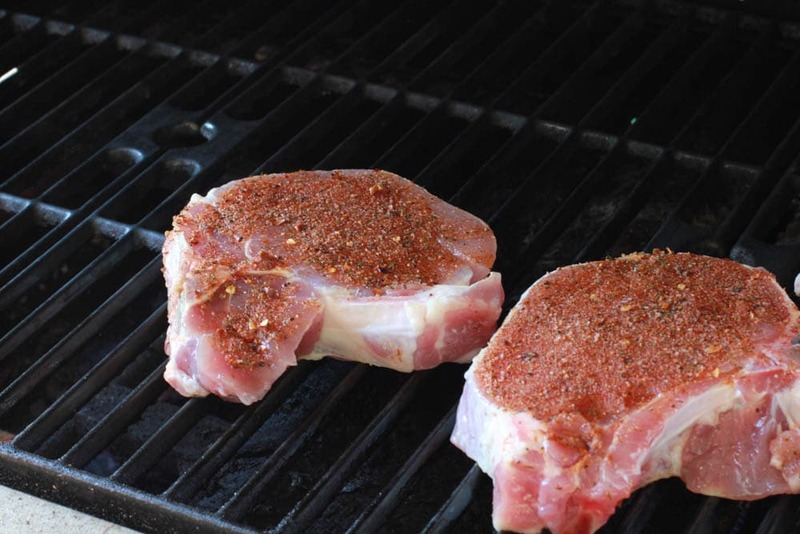 Although I love mustardy or mayo-based slatherings for my chops, I tend to leave these for serving when grilling – the extra fat can sometimes cause flaring up which messes up the cook on the chops. Marinades do well, as do dry rubs and seasonings. Me, I’m a purist – chops + heat = dinner! Huge movements going on with Instant Pots, which can help your meal be done quickly and efficiently. Slow cookers are also divine and both provide perfect pork, fast or slow! Although it’s the Cadillac of the pork family, sometimes I just have to have me some pork tenderloin. While we often by the pre-seasoned ones when they’re on sale at the grocery store, cooking the unseasoned version is just as easy. 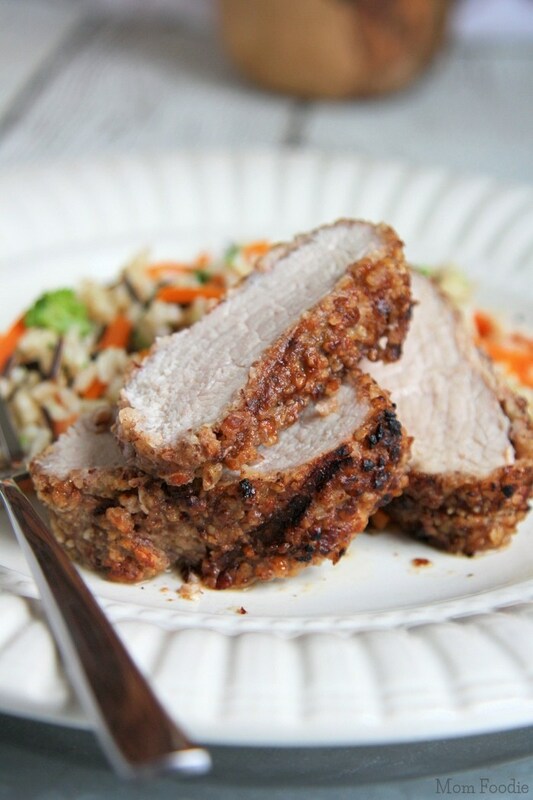 There are A LOT of recipes about how to cook pork tenderloin. MOST of these recipes recommend super high heat (475◦ – 500◦) and relatively short cooking time, about 15 – 20 minutes. While this could work in theory, more often than not, I end up with an undercooked center and dry exterior. I hate to go against conventional thought so extremely, but when I’m paying a ton for a piece of meat, I need it to come out perfectly. Please do try the high heat method and let me know how it goes. Instead, I cook at a much more reasonable temperature like 350◦ or 375◦ for about 15 minutes or so longer. Since I started doing that, it comes out like absolute butter! Perfectly done throughout and juicy as could be. You can also do exotic things like grill your tenderloin, but this is in that high heat cook zone, which I haven’t had good luck with. I am a sucker for the grocery store special of pork loin – just pennies for one and sometimes two huge loins! They’re tender and mild-flavored and are my favorite for carnitas and pulled pork sandwiches. The loin roast comes from the part of the pig running along the top and sides from the shoulder to the hip. The pricey tenderloin is hidden under this larger roast piece, but both are relatively free of fat and connective tissue. Cooking options are more limited than other cuts and due to the size cooking it through without drying it out is a key concern here. For that reason, when I occasionally bake my pork loins, I do it just like just like any other roast – low and slow. I set the oven about 300◦ and let it go about an hour. Check the temperature and for doneness to know for sure. However, my favorite way to cook these is in the slow cooker. Dump the huge thing in, set it on low and let it cook 5 – 6 hours till it falls apart when prodded with a fork. When making pulled pork, I shred it then add sauce and let it go another hour or so. Shredded pork loin meat freezes wonderfully (don’t forget to include the juices from cooking), and I can use it in meals for weeks! Shoulder roast is delicious, but a bit more of a commitment than some of the other cuts. Its weird shape coupled with the maze of connective tissue, fat deposits, and sometimes odd bones makes it incredibly tasty, but complex to get right. Not only that but the thing is HUGE and takes up a lot of space in the fridge or freezer – a lot like a turkey or a ham. So, I’m pretty particular about when I take this project on – deals at the grocery store are sometimes just too good to pass up on this massive beast. Bring on your turkey cooking equipment to manage this huge piece of meat in the oven! For execution, cook a shoulder roast like a loin roast or beef roast – super low and slow. At 325◦ degrees you’re looking at an easy 4 hours of roasting time. While the fat content means you likely won’t have to baste the roast as you cook it, you’ll want to do things like cover with tinfoil if the top looks like it’s getting too dark and season it generously however you choose. Pork ribs come in two cuts – spare ribs and baby back ribs. Spare ribs come from the lower part of the rib cage, on the belly, which usually sees more action when the pig is moving around, so these ribs are bigger, meatier, and tougher. Baby back ribs come from the upper part of the rib cage, closer to the spine. Because they aren’t jostled as much, the meat is much more tender, but there is less of it. You’ll pay for the extra tenderness, with baby back ribs hefting a significant price tag. Ribs can be roasted, grilled or smoked. Grilling is the riskiest, as you’re working with high temperature which tends to char the outsides before the meat inside is ready. Experiment carefully with grilling. 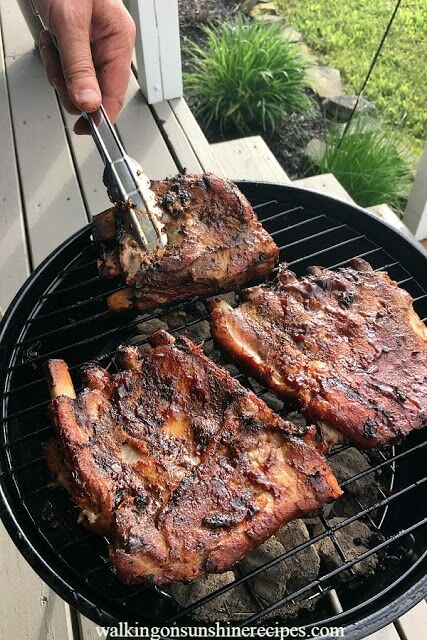 Smoking, like roasting, calls for low temperatures for a longer time, but if you’re in the smoking world, you’ve likely already tackled a set of ribs. I’ll focus here on oven roasting instead. For oven roasting your ribs, you’ll need the dry rub and sauce of your preferences, a large baking sheet with a cooling rack that fits inside, tin foil, and a basting brush. I like to start by covering the sheet pan with tin foil before adding the cooling rack to decrease some of my clean-up (there will be plenty of mess with the eating…). Fit your rack on the sheet pan and lay out your ribs. Generously coat each rack with rub and stick them under the broiler till things start to melt a bit. You want to be careful here; we’re just broiling enough to add a bit of crust to the outside of the ribs. This should take about 5 minutes but WATCH IT! Once the broil is done, lower the oven temp to 300◦. Spare ribs should roast for 2 – 3 hours, baby backs for 1 ½ to 2 hours. After about 45 minutes to an hour of cooking, cover the ribs with tin foil, so they don’t get too dark on top and start to dry out. About a half hour before you think the ribs are done, generously coat with the sauce of your choice, cover with foil and finish cooking. You’ll know your ribs are done when you can slide a knife easily into the meat or the bones move independently of the meat when you twist slightly. Let them rest for 3 – 5 minutes covered with foil and enjoy! Make sure you have extra sauce on hand – you never want to eat from the same dish of sauce you basted from. That’s a cross-contamination mistake you’ll seriously regret! I add ham here, but ham is the odd cut out – in nearly every case, you’ll be cooking a precooked ham – there’s not a lot of guesswork involved. Simply season the ham as you like (brown sugar and orange juice anyone?) and roast for 2 – 3 hours to heat the meat through. With ham, the big issue is too much browning on the outside so be ready to cover it loosely with foil if the sugar or topping seems like it’s getting too brown. Pork is truly the other white meat that has taken its rightful place next to chicken in our menu. Versatile, affordable and easy to cook, try swapping pork for one of your chicken recipes – I think you’ll be pleasantly surprised.